Hisham Ali is a second year student enrolled in the MA in Translation Studies Program. Earlier this year, he submitted an abstract to present at a conference hosted by the University of Leeds. A few months later, his abstract was accepted, and he took part in the conference. Commenting on this experience, Hisham said, “I have recently participated as a speaker in a conference entitled Ideology, Power and Beyond: New Perspectives in Translation and Interpreting Studies which took place at the University of Leeds on 22 June 2017. In my presentation, I discussed how translators employ their diverse schemata to achieve certain communicative goals and how translation theory could contribute to a better understanding and use of schemata. To this end, Grice’s cooperative principle, supported by Martin and White’s appraisal theory, as well as Pym’s risk management analysis served as the theoretical framework of my paper”. He added, “The conference was a unique opportunity to test out my ideas in such an intellectually stimulating forum which gathered some of the most prominent figures in the realm of Translation Studies, most notably Jeremy Munday and Sameh Hanna. The conference included a highly enjoyable roundtable discussion where Munday, Hanna and Myriam Salama-Carr offered their insights into the future of translation and interpreting studies. All in all, the event really helped me to better understand the bigger picture of translation theory, and key into the recent trends of theorizing translation history”. 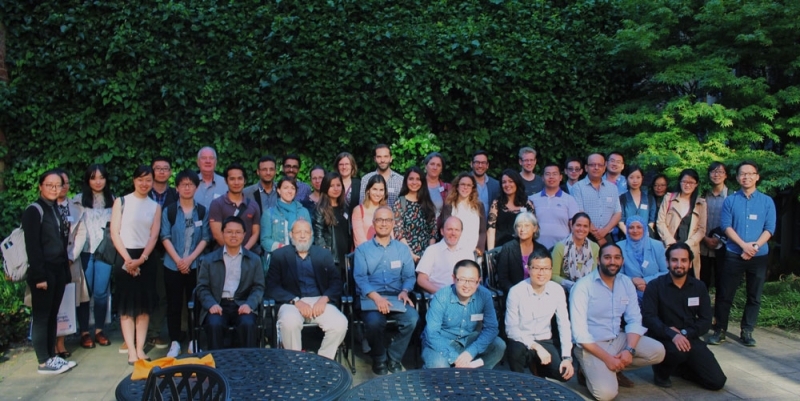 The conference featured more than 30 presentations delivered by researchers and professors from Turkey, UK, Singapore, China, South Korea, France, Saudi Arabia, and others.